My favourite, out of all of the exhibit sculpture, is this one. 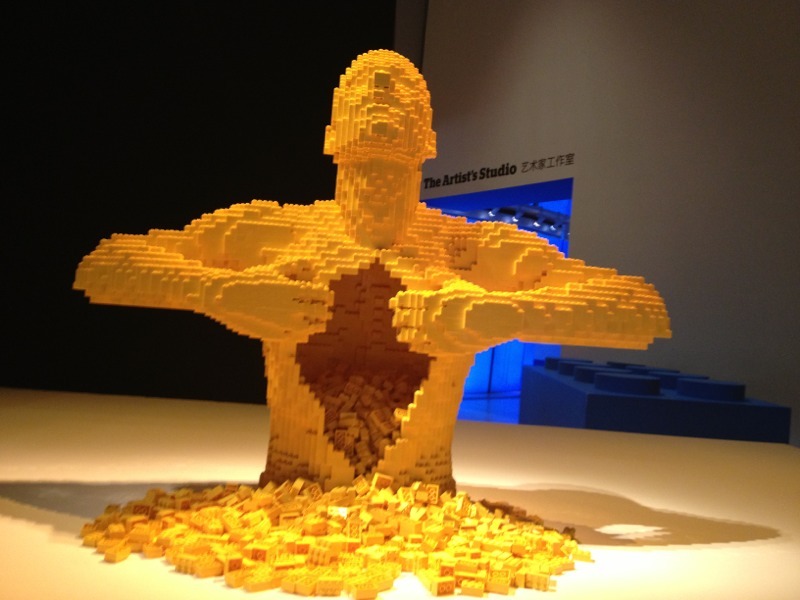 It’s cool seeing a man made of Lego, ripping himself open and his inside spilling out. It represents death – giving back his body to the world. This entry was posted in Art, Lego by jonjontub. Bookmark the permalink. I agree Jon this is a very powerful sculpture, it must be really quite difficult to create these sculpture he create the human form very well. Are the sculptures about life size, or larger than life size? I hope the exhibition comes to the UK sometime. Here is another artform for part A of your discover award, a sculptor. Yellow was smaller than life size but there were others that were life size. I hope you can see this exhibition as well.